This by far my favorite Arborvitae! It has a beautiful dark green color, it grows very dense, it’s a medium fast grower. Some say it’s a slow grower and compared to a lot of other Arborvitae it is slower growing. However, you will hear me say this a lot: “The faster growing the plant, the lower the quality of the plant”. So when you opt for a fast growing plant you trade off quality which means in ten or fifteen years you might be sorry that you didn’t opt for the better plant in the beginning. Looking for a great plant to grow and sell at home? Techny Arborvitae is a hot seller! More about that at the bottom of this article. Techny Arborvitae makes an excellent evergreen hedge. Unlike many Arborvitae, Techny can grow as wide as four to six feet wide. So planted about 48″ apart they make a nice dense evergreen hedge that will provide privacy and make a nice windbreak. You can plant them as far apart as six or ten feet and still get a great hedge, just not as dense for the first few years. They like just about any soil condition but in sandy soil you should water them during times of drought just to protect your investment in these beautiful plants. They don’t really have disease problems and the only serious insect problem is bag worms, and I’m going to do an article about how to best control bag worms. They grow about 12″ to 24″ inches per year and can get 15 to 20 feet tall. Unlike some other arborvitae they have a good root system so it’s unlikely that the wind will uproot them. This plant will happily grow in zones 3 through 7 and they are popular and thriving way up in northern Michigan. This plant was first discovered in Techny, Illinois, thus its name. The common name is Mission Arborvitae, but it seems more people know them by the botanical name. Are they deer resistant? I don’t know for sure. The deer will eat just about anything during the winter when their food supply is scarce. 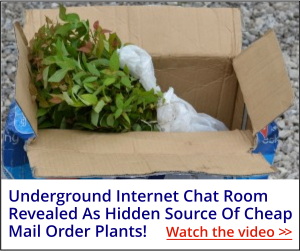 Talk about a great plant to grow and sell! Techny Arborvitae is extremely popular with landscapers and landscape architects. When they use them in a landscape they often use many of them for a long hedge row. They are popular among homeowners because people are always looking for something to plant for privacy. I am definitely going to start growing Techny Arborvitae, and if I put them in the field and let them get 7′ tall, I won’t even have to dig them to sell them. I know I could sell them right in the ground to another wholesale nursery that would send their crew over to dig them and haul them out of the field. That’s when it gets easy! But I like growing and selling plants like this in small containers because I can turn them over quickly and a lot of people are looking for a way to buy the plants they want and not have to pay $40.00 each for them. 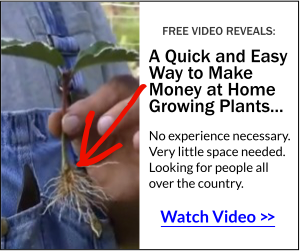 Great item that you can bet I’ll be growing! Here’s the thing about growing plants. As soon as people find out that you are growing plants they immediately want to know where your nursery is located. They get excited to find out you are growing and selling plants and they want to come and look. I’ll bet insurance salesman and car salesman wish it were that easy to sell their product! In other words, there is no selling. People just come and buy. More details about growing and selling small plants at home here. Freeplants site is down since last night. Just came back up an hour ago. Sorry about the inconvenience! I’m having a terrible time understanding what to do with what. I sent for a number of rooted cuttings and put them in your super mix soil. Only maybe half are surviving. We will be in northern OH for the 4th of July holiday. May we please come for a visit to see first hand what I’m doing wrong. You are more than welcome to stop by. Obviously I won’t be at the nursery on the 4th and not usually there on Sundays, but most other days I’m there until at least noon or 1:00 pm. Taking a few days off right after the 4th but not until the 7th.